Sports Academy Application and Software tool empower coach to train the students in an efficient way and monitoring activities in an accurate manner. Easy sports academy app is an interactive platform to fulfil all your sport’s needs. This app not only focus on administration but also maintain multiple sports activity, Fitness Programs, Time Schedule, Attendance tracker , Team Schedule with in single application. 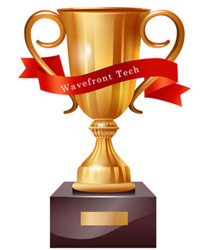 Wavefront Technologies is a Reputed Software company that delivers application and tools with an advance technologies .Our main focus is to provide Machine Learning Data-set for projects supporting big companies to develop AI and ML. As technological development, we are fortified to deliver Best SEO services in India to our clients in the USA and Gulf countries. We are encouraged to provide a solution to the Start-up's organization as well.